€110.4 million loan for the installation of exhaust gas cleaning systems and ballast water management systems on 42 Spliethoff vessels part of €300 million joint EIB-ING green shipping partnership. EIB financing supported under EU’s “Juncker Plan” and “Connecting Europe Facility”. ING and the European Investment Bank (EIB) Thursday (Feb28) signed a EUR 110m loan agreement to finance Dutch ship management company Spliethoff’s Bevrachtingskantoor B.V. for the retrofitting of 42 vessels of its fleet with exhaust gas cleaning systems and ballast water management systems. This will enable Spliethoff to be compliant with International Maritime Organisation (IMO) and EU regulations governing air emissions and prevention of the release of seaborne pathogens that are harmful to the marine environment. The EIB loan will be supported by the European Fund for Strategic Investments (EFSI), the main pillar of the Investment Plan for Europe, as well as the “Connecting Europe Facility” (CEF). 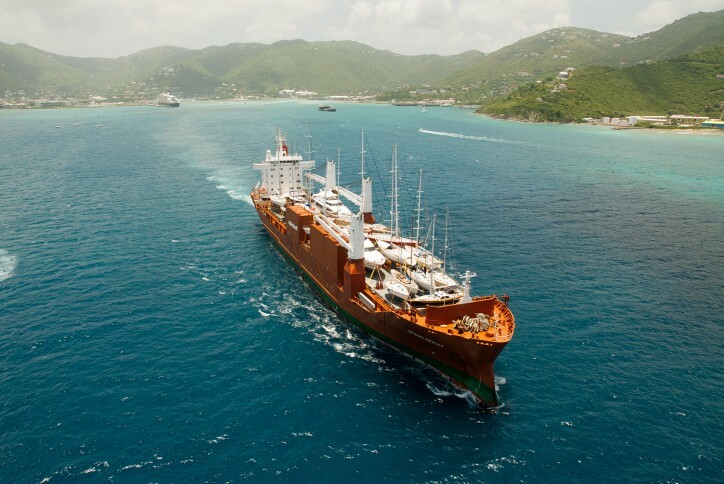 The loan is part of the ING and EIB €300m Green Shipping partnership signed in 2018, to support sponsors of green and sustainable projects in the maritime transport sector with advantageous financial terms. The EIB will contribute €49.5 million to a €110.4m ING Bank NV arranged facility to finance the installation of exhaust gas cleaning systems and ballast water management systems on 42 vessels for Spliethoff’s Bevrachtingskantoor B.V. In specific 17 vessels will be retrofitted with both exhaust gas cleaning systems and ballast water management systems, 5 vessels with exhaust gas cleaning systems and 20 vessels with ballast water management systems. The retrofitted vessels will operate with significantly reduced emissions of sulphur oxide (SOx) and particulate matter (PM) pollutants and prevent the sea-borne transfer of invasive species and diseases in ballast water. Loyens & Loeff, the transaction law firm responsible for this deal on behalf of ING Bank, coordinates documentation between Spliethoff, the EIB and ING. Michel Fransen, CFO of the Spliethoff Group said: "We have been installing scrubbers on our fleet since 2013 and are very happy with the results so far. Scrubbers are a very environmentally friendly solution to comply with the 2020 regulations. LNG or hydrogen may have the potential to become even better alternatives in the future, but only in the longer term. The investment in scrubbers also safeguards the interest of our shareholders against uncertainties in fuel availability and pricing." This agreement forms part of ING’s wider sustainability strategy, which aims to facilitate and finance society’s shift to sustainability – environmental, economic, and social. As part of this, ING helps develop and promote sustainable business models and explore how sustainable financing can support energy transition and combat climate change. The project will contribute to a modal shift in which, instead of by road, goods are transported by sea, which is considered the most sustainable transport mode for this type of cargo. This will help to reduce the overall climate impact of transport, and specifically the promoter’s carbon footprint. The ING and EIB Partnership facility is available to clients with significant European interest for projects that anticipate the construction of new vessels, or retrofitting of existing vessels, with a green innovation aspect and applies to both inland shipping and seagoing operators. This sector risk bearing facility is meant for projects that will improve the environmental performance of transport vessels in terms of diminishing the emission of pollutants as well as increasing fuel efficiency. Projects should be proposed to ING and will be subject to ING’s financial and non-financial risk acceptance criteria.